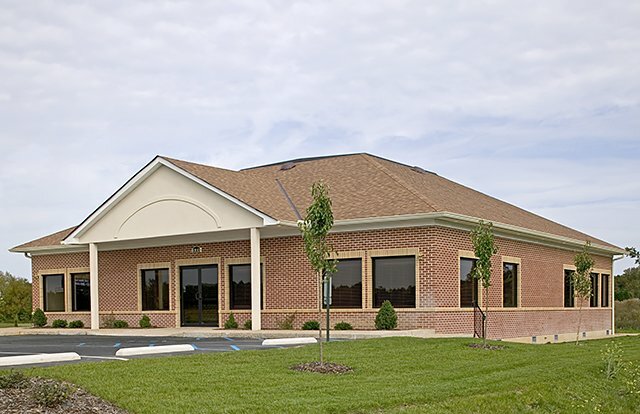 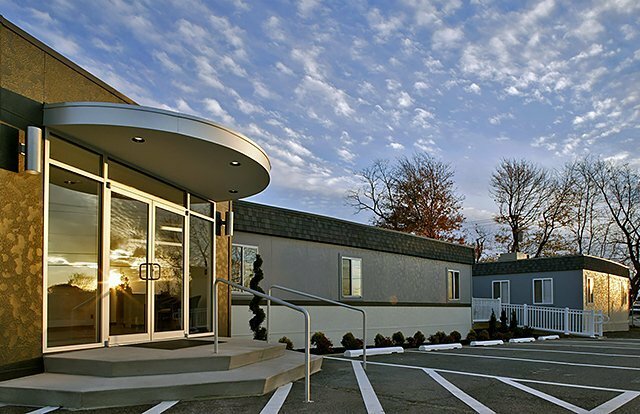 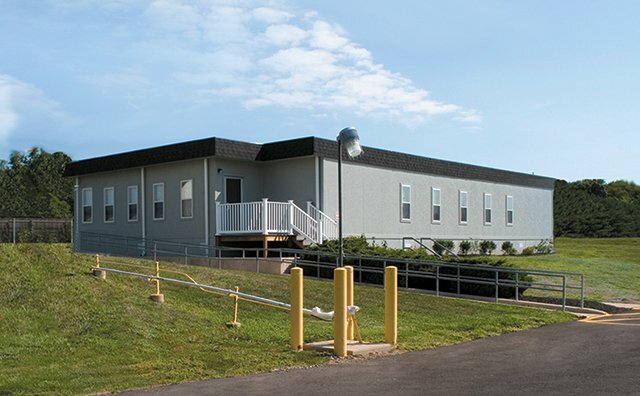 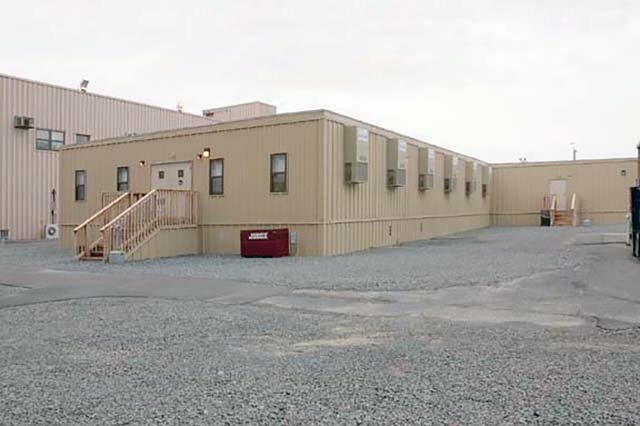 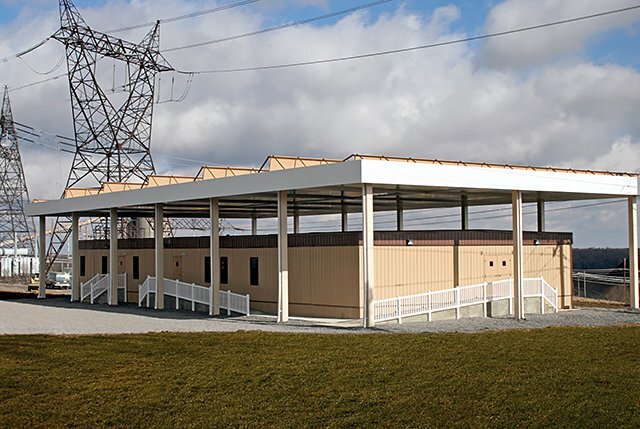 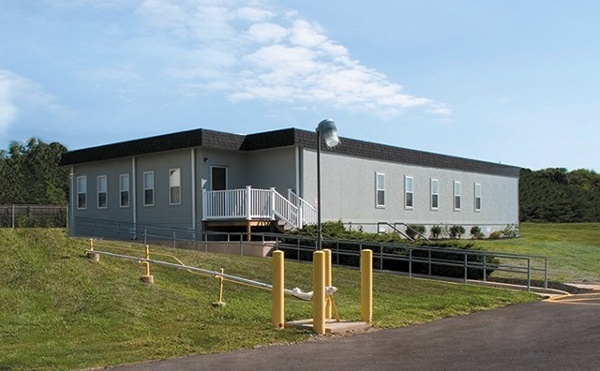 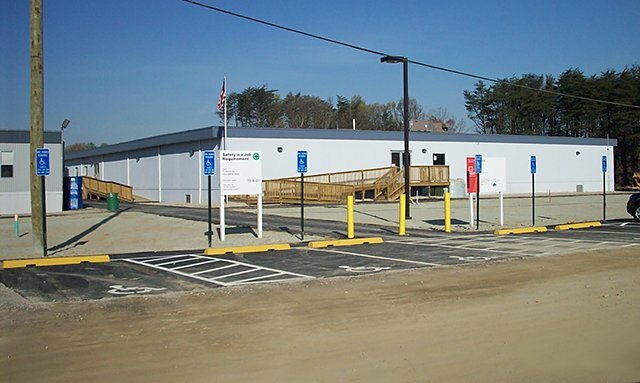 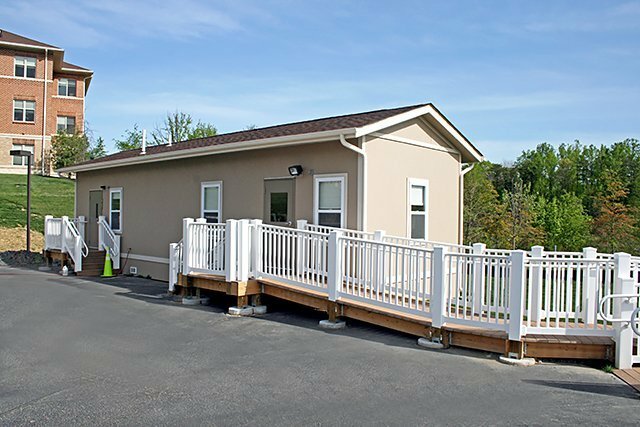 Dupont Vespel Commercial Offices | Wilmot Modular Structures, Inc.
Architecturally designed hardipanel exterior with shingled mansard. 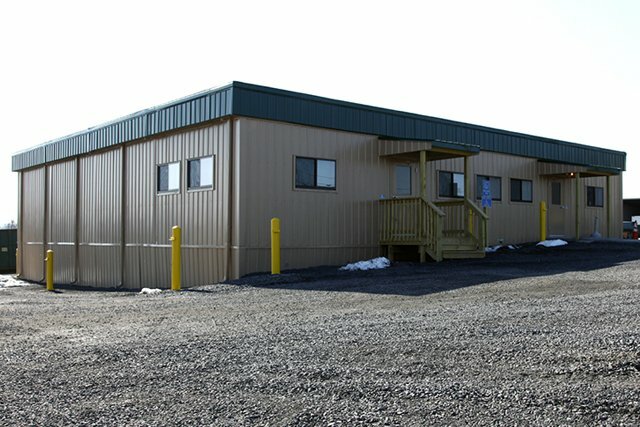 Insulated vinyl frame windows and glass store front doors. 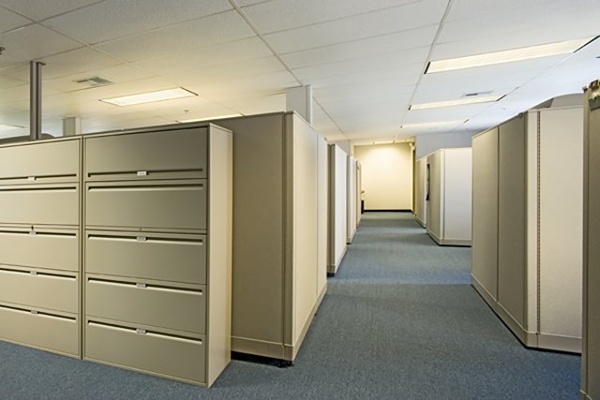 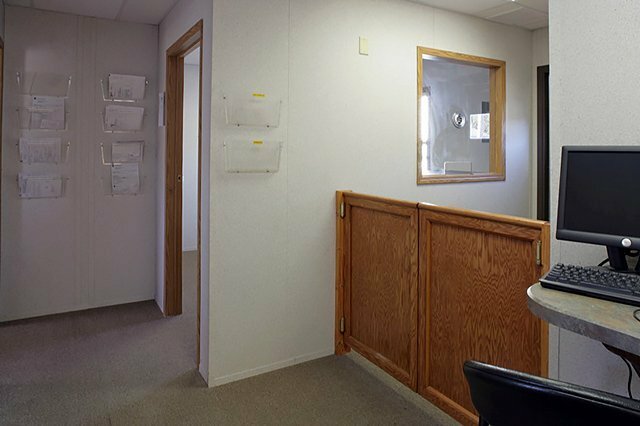 Spacious vestibule area and open office area with modular partitions. Fully sprinkled to meet local fire codes. 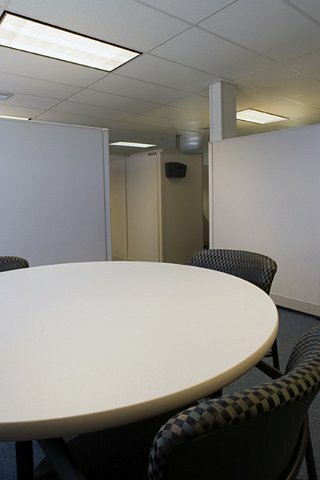 Suspended acoustical ceiling.